Utah Runner Girls 13.1 | Todayz Run!!! Todayz Run gets Two Thumbs Up! Four down, two to go!!! Am I going to get my goal of six half marathons in before the race season is over in Utah? Oh, yes I am!!! Fingers crossed!!! So, I ran the Utah Runner Girls 13.1 on Saturday with my cousin Michaelene, and let me tell you that it was one of the hardest halfs I have done thus far in my life!!! Wow! Does Alpine have some hills my friend. Before the race started I heard a few girls talking about the course, and how it was kind of a rolling hills kind of course. Ummm. No!! Rolling hills are like, Oh here comes a hill. These hills were more like, Whoa, how about another hill!!! The freakin’ race started going up hill. That is way new to me!!! Usually if a half marathon even has a hill, they stick it to you in the middle of the race somewhere. Well, they stuck it to me in the beginning, first quarter, middle, and in the last quarter. With the steepest hill coming at you at about mile 11. Yeah, rough time for a hill. However, I loved that hill!!! The great thing is, is that I love hills. The bad thing is, is that I don’t get enough hill training in my workouts. Hello, I live in the flatlands. The race was a big loop, and it went through the neighborhoods and city of Highland and Alpine. I was a little nervous at the beginning of the race, because it was an all girls race. I have never ran an all girl race before, and I have never seen so many girls in cute little running skirts all in one place. Why do girls make me nervous you ask, umm, girls are super competitive!!! I mean I know girls were at every other race I have run, but they seem to be diluted when the guys are there. High doses of girls kind of intimidates me. Now this race was not a big race, but there were still 130 chicas running the half, and about 200 running the 5k. To me that is a lot of chicas!!! So, as I said the race started by going uphill, and these chicas took off like it was a downhill. I just didn’t know what to do with myself, so I let them go. I told myself to relax and that I would see them again. I just hoped it wouldn’t be after we crossed the finish line. Well, I soon discovered that they were just super excited, and I started passing them before we hit the first mile. I was happy to have had my coach Garmin with me, because I didn’t want my excitement to slam me into the wall later in the race. By mile five I thought I could still see the leaders, and I just went with a, try to keep them in your sight, and keep trying to bring them back to you. I could see that I would usually make some progress when we would hit the hills, so I knew I really had to work them. Mile seven was great because the two girls that seemed to be battling up front had separated, and I thought I could catch at least one of them. However, I felt like I was running out of time. I watched them turn a corner and I lost sight of them. Because of the turns on the course I didn’t see them until about mile nine, and that was good because they were closer than I thought. The second girl I knew for sure I could catch, so I started the attack, but the first girl had a strong pace going still. It took me a good quarter of a mile to catch the second chica, but I did, and that always gives me a burst of energy. I was then after the first girl. It was mile ten and I just didn’t know how many more pushes I had in me. I looked to coach Garmin, and he said, “Go! !” So, go I did! Still I wasn’t making as much progress as I wanted. I looked ahead and saw a pretty steady hill coming, and the chica was already half way up it. I kept on pushing, and looking to see if catching her was possible. I was definitely gaining on her when, Wait, what???!! She started walking up the hill. Really? Here is my chance. I was so catching her. I could see the top of the hill. I was getting so close. Oh crap, we are starting a downhill, and she obviously is a good downhill runner. I knew I had to work it on the downhills too. Now, I know that downhill sound easy, but they really are not for me. They are super hard on joints (or am I just getting older?). Oh, and I am afraid of falling! I told myself, You will eat crap if you fall going slow or fast, so just go fast!!! This downhill part had a lot of turns also, so I kept loosing sight of her. It wasn’t until going into the last big hill that I finally caught her, but I knew she was a strong runner, and I didn’t want her to just pass me back. I knew that the big hill had to be conquered, and that I was capable of doing it! I am not going to lie, it was pretty challenging. The motivating signs that had been placed on the course and my music (Kesha’s-Cannibal) is what really pushed me to conquer that huge hill. Oh, and still not wanting to get passed. I knew with only a mile and a half left that I really couldn’t let down much, because I didn’t have enough time to make some distance between the chica and myself. Oh, and at that point I knew I was really close to the leaders, however, I didn’t know how many more were in front of me. Coming into the park I still couldn’t figure out my placement, because now we were finishing with the 5kers. I finished strong and just had to wait until they posted some results to see where I was. Well, it was a happy day, I finished 2nd overall with a pace of 7:59:00. I was pretty stinkin’ happy with that time with the amount of hills there were. Here is the funning thing. I won a running skirt for taking 2nd. If you know me, you know how I feel about running skirts. I think they are super cute, but I can barely get through church wearing a skirt. I always tell Fifty Pounds of Fury that, skirts are for Sunday only!!! I told the love of my life, Running and skirts just don’t go together for me. His reply, “Yeah they do! I see you every Sunday running to get yours off!! !”(That is so true) Well, I will have to give the running skirt a try now. I am just not sure I am cutesy enough for a running skirt. I let you know how it goes!!! All in all it was a great running day, but more importantly it supported a great cause, Autism Speaks. I love knowing that my running habit (good or bad) helps someone in need. I am a runner! I am a mom of three and wife to one!!! I started running in high school, and it seems I was never able to shake it off. I have tried to breakup with running many times, but running just seems to always be a part of my life. I have been running so long that my husband runs, my sisters run, my brother runs, my 76 year old dad runs. I feel like if I can't breakup with running I better bring everyone else I love into the fold! I guess you could call our relationship a love/hate relationship. I sure hate running when I wake up for a race at 4:30 in the morning, but I sure love it when I cross the finish line!!! 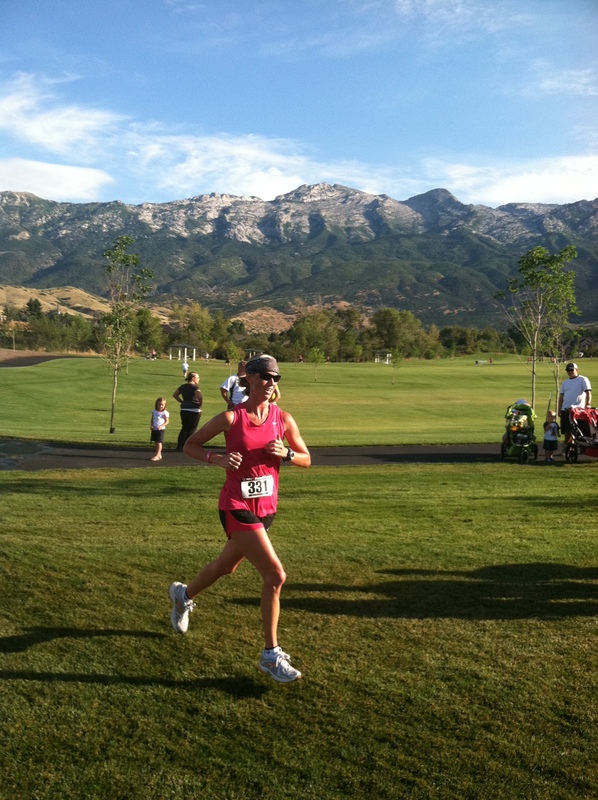 This entry was posted in A Runner's Thoughts!, Everyday Running, Half Marathon, Races, Ramblings, Utah Runner Girls and tagged A Runner's Thoughts!, Everyday Running, Half Marathon, Races, Ramblings, Utah Runner Girls. Bookmark the permalink. YAY!!! 2nd place is awesome!!! YOU ROCK!!! ….and you will love the skirt! You are cutesy enough for the skirt miss pink is my everyday color. You were awesome on Sat. It was fun to see you stand on the podium! Congrats! Way to go! What an awesome race day! You go girl! I know you will be able to rock the skirt! Wow! Congrats to you… you are awesome! I don’t know what brand of running skirt you won, but I have a few that I love (especially the ones from runningskirts.com) and I would much rather wear them now than any shorts! I’m not a big skirt wearer either, until now. Anyway, YOU ROCK. I’ve got my 4 halfs done so far too… only 2 more to go! Do you know which two you are going to finish up with? I love seeing you at the races. Are you going to do Dirty Dash or Foam Fest? I don’t think I am doing the Dirty Dash again this year… I’ve had my fill of mud runs for a bit after the first Dirty Dash, the Dirty Girl (or Kiss Me Dirty, I think) and the Spartan. 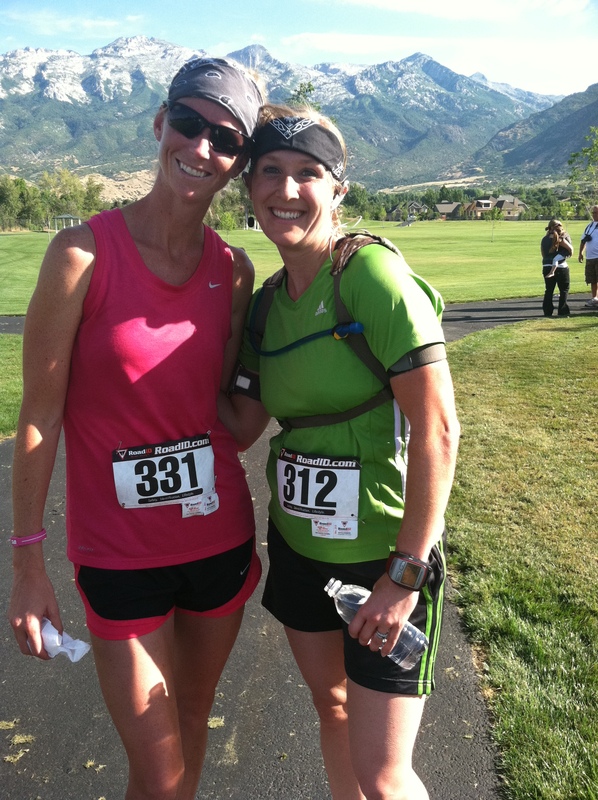 I think I’m going to do the Other Half in Moab and the Halloween Half in Provo. Haven’t signed up for either yet, but that is the tentative plan – probably signing up in the next day or two. Just read that my other friend finished 3rd… wonder if that was the chica you passed on the hill. Wish I would have run this one. Good job Kathi, you’re awesome! Oh and Justin is funny. “running to get your skirt off every Sunday” Ha ha. Hang on to that!!! It’s a Sport Hooks by Heavy Medalz Giveaway!!! Five Down, One To Go!!! Layton Half Marathon is Complete! Get a FREE bottle of Deep Blue now! Hey y'all enter your e-mail below and click sign me up, to follow Todayz Run. Receive updates of new posts by email. This way you will never miss Todayz Run!